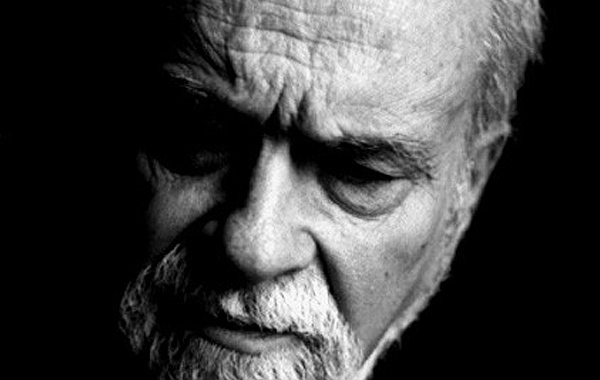 Arthur Danto is a renowned art philosopher, long time critic for The Nation, and Professor Emeritus at Columbia University in New York City. In the past he has written on far ranging topics from Warhol and Nietzsche to Merleau-Ponty and Mapplethorpe. In his writing he crafts a friendly philosophy that interprets contemporary art with an inquisitive hunger. Although he's well into his 80s he shows no remorse for having opened aesthetics to the popular imagination. Rarely making an appearance in the UK, Danto sat down with KultureFlash on the occasion of a symposium held in his honour at Tate Britain. What follows is a frank discussion of his thoughts on modern painting, why the French have few great living artists, the role of art fairs, and Kant's prediction of the realities of ugly art. This interview was conducted in person at Tate Britain on 02/02/06. Steve Pulimood: Are any of your old colleagues still in England? Arthur Danto: Yes, but they're all probably old now. Sadly, the most recent contact I've had was writing Richard Wollheim's obituary for The Guardian. SP: Didn't Wollheim write a memoir? AD: Germs. Over here it got a great review. It's a very eccentric book. Nobody but Richard would write such a book. It's basically about his childhood. SP: He avoided a psychological portrait? AD: It's very psychological if you want to see the psychology in toilet training and things like that. The family were German Jews. His father was a theatrical impresario. His mother was a showgirl who became a pathological housekeeper obsessed with germs. It was also about his war years. It's about how he got interested in philosophy -- how he was the only person in England who wrote on art. AD: Yes, public intellectuals. …At The Guardian they had the idea that rather than using a regular obit writer, they would ask someone who knows him personally. I hated writing that. He was still alive. It was like betrayal, but I had to do it. SP: Did you have any contact with him after that? AD: No. He died surrounded by his family from what I have been told. He really was passionate about painting, but very conservative. He wrote for Modern Painters. SP: Have you seen Modern Painters recently? AD: I haven't seen it for a long time. SP: It's very flashy now. I can't imagine Wollheim there today because all I know is its new image. AD: The founder Peter Fuller came to visit me once. I think he was trying to turn the clock back. AD: That this was all a miscarriage of art, and that he would publish and people would see the error and go back to John Ruskin. SP: I'm curious as to whether or not the early period of Modern Painters coincides with the downfall of contemporary painting. I do know that painting is coming back in a huge way in England. I don't know how much of a splash it's making in New York. Of course you know of Charles Saatchi, who has sold most of his young British art, and in the last years has been buying up the work of young painters. He has mounted a series of painting exhibitions called the Triumph Of Painting. It has very eerie overtones of Leni Riefenstahl's Triumph des Willens. AD: That reminds me of a picture that Mark Tansey painted called the Triumph of the New York School. It's in the Whitney done in monochrome in an uninflected, illustrational style. Here is the School of Paris and over there is the School of New York. Everybody is identifiable, such as Matisse and Picasso; over there it is Greenberg and Pollock. It was like a surrender at Verdun. I was recently invited to speak in Oslo. They had just put up a show called the Uncertain States of America. It could have been the uncertain provinces of the Netherlands, or the uncertain Departements de la France. There wasn't a lot of painting… Now I know Cecily Brown and Jenny Saville. SP: There's a lot of writing about Cecily in the context of this brutal, intense vision of what painting should be. It's reviving what in many ways was this protracted angst about painting. AD: A lot of it was deeply connected to feminism, and there was a machismo that was connected to painting. Articles like Linda Nochlin's piece about why there are no great women artists sparked the debate. Painting had become politicised in a sense, by virtue of just being painting. But nobody was paying much attention to those kinds of issues in Germany. They painted straight through from the '60s, from Gerhard Richter to Sigmar Polke. France believes in painting, but I don't think they produced anything. AD: Yes, I think there's all kinds of support for art in France, but nothing has come through. SP: There's a great sense of French nationalism and pride. It hurts them to realise their lack, and I think they're very self-conscious that they don't have anything… They have Daniel Buren. AD: He had a wonderful show at the Guggenheim, but that's the only one they got. SP: How do art fairs portray painting's relevance to the art world? AD: I went to Miami Basel and had a conversation with William Kentridge. One of the reasons for these great art fairs is that they bring up new art for the public to see. Judging from how successful he has become, I think there's a great appetite for not painting as painting, or drawing as drawing, but something with meaning. SP: Could a different William Kentridge type act as a painter and still address these issues today? SP: Speaking about erasing the past, are there any essays or books that you've written that you are unwilling to revisit? AD: The book on knowledge. I couldn't resurrect the context. I couldn't get back into it because no one cares a damn about those issues. There was an important connection for me with knowledge and action. SP: Did people have the wrong idea? SP: Periods of political uprise come and go, but perhaps great philosophy needs a political life of its own. Looking back on your own work, did you feel the need to remain philosophically even-keeled despite the social upheavals in New York? Does philosophy require consistency? Is there progress in philosophy? AD: I don't know the answers. I was interested in history. I found these wonderful sentences that nobody paid attention to so I called them narrative sentences because you couldn't write history without them. For example: The Thirty Years War began in 1618. You couldn't say that in 1618. Nobody knew that there was going to be a war or at least that long a war. Or, Petrarch opened the Renaissance. Or, Erasmus was the most famous pre-Kantian thinker. They're like jokes when you think about them. SP: This reminds me of a section in The Philosophical Disenfranchisement of Art where you discuss Thomas Kuhn and Karl Popper and compressing the relation between reality and representation as connected to science. SP: Criticism seems firmly concerned with the present, and although we might not want to, we have to worry when a critic tries to predict the future. Since philosophy and criticism are the two major topics of your writing, how do you see them fitting together in your own life? AD: It's hysterical. You write this thesis [The End of Art] about the world coming to an end, and then you go into the real estate business. AD: I think it helped being a critic. The "next thing" no longer held interest for me because it no longer held any interest to me as to what was the next thing. That's what obsessed Greenberg. I could go along with everything. SP: Does art criticism ever feel like applied philosophy? AD: I think so, in the sense that I can't write on anything if I can't apply philosophy. I would hate to be an art critic for The New York Times. All my pieces are philosophical, but who reads aesthetics? I don't think I could have written that way for any other place except in The Nation. It was founded on July 4, 1865. Frederick Law Olmstead was on the masthead as was Henry James. It's always had art criticism. Greenberg wrote there for nine years, and later Lawrence Alloway. SP: Here's a quote from your book The Philosophical Disenfranchisement of Art, which I think helps distil what your art philosophy is: "My theory of interpretation is constitutive, for an object is an artwork at all only in relation to an interpretation… Interpretation in my sense is transfigurative. It transforms objects into works of art, and depends upon the 'is' of artistic identification." AD: You point to a dab of paint and say "THAT … IS … ICARUS". As an analytical philosopher, you are sensitive to these usages. It was only a smudge of paint, but we saw a significant artistic identification in Bruegel's painting The Fall of Icarus. What I meant by "constitutive" it is like the soul of the work, and you have to discover an interpretation, which connects the physical properties of the object with some meaning. SP: This is what is so difficult to grasp. Meaning can't be assigned or ascribed. It's mutable -- different things to different people, right? SP: Can art be ugly? Can someone make intentionally ugly art? AD: It better be possible because it's actual. Kant said that it's possible to paint ugly pictures, but you beautify them. There's only one kind of ugly that cannot be beautified and that's the disgusting. SP: I don't know what that means. SP: Who is the most difficult philosopher to read? AD: I don't think anybody is that difficult. A friend recently wrote that the academic mind believes that only if it's difficult can it be truthful. SP: On that note, what do you think about jargon in philosophy? Is it an occupational hazard? AD: There's no jargon among philosophers. Although, I think that the post-structuralist movement was a disaster. I think what happened was that the artists were generating their own philosophy: Donald Judd with minimalism, Robert Morris with conceptual art; the '70s influx of European thought was worthless. That's why they don't have any art in Paris. They were all swamped with post-structuralism. A lot of this was brought over to America by October. SP: What do you think is the most active area in philosophy today? AD: I think aesthetics is pretty active. It's so marginal you can get away with things. It's wide open. AD: To the degree that I'm responsible, I've opened it up. It was right on the surface -- all that philosophy -- but you weren't imposing your ideas on the art. You couldn't go to a gallery in the '60s, and not be knocked over by a piece of philosophy happening on the floor. SP: What about the deleterious effects of philosophy on art? AD: I think that the deleterious effects are what we say about art, what we impose on objects. You can identify this with the heavy patches of quotations -- Derrida style -- in art theory. SP: You have come to England to speak at Tate Britain and LSE and to revisit your work. When were you most under fire for your writing? How about your writing on Robert Mapplethorpe? AD: When the Mapplethorpe Foundation asked me to write on Robert, I said that I was not an insider. They said that that's what they wanted. My wife was very supportive, and after I did it I didn't need anyone else's support. I got a wonderful response in the press. SP: When I first met you in New York, you were guest lecturing in a senior aesthetics course for Lydia Goehr. I was practically infantile. I still remember Goehr correcting me when I mispronounced Hegel's name. She would say, "Steven, it's like Bagel with an 'H' instead of a 'B'." I was by far the youngest kid in the class. It was the middle of winter and you were carrying a book called Danto and His Critics that has your mug shot on the cover. AD: Yes, that's really true. I was reading a passage from Richard Wollheim, who hated the art of the Transfiguration of the Commonplace. He said that it wouldn't matter if the art of that period vanished as long as Danto's book remained. SP: That's a high compliment. AD: What Richard loved about the book is that you could smell the culture of the '60s. I tried to put in that culture. He gave it a very poetic reading. I wasn't carrying that book for any other reason. SP: I liked the image of you engaging with those angry voices. That book is your saintly attribute. SP: What else are you planning to do while in England? AD: I'm going to Tate Modern for the first time. Steven Pulimood is a doctoral candidate at Oxford University. He is currently writing a book on Leonardo da Vinci and the history of Renaissance anatomy.